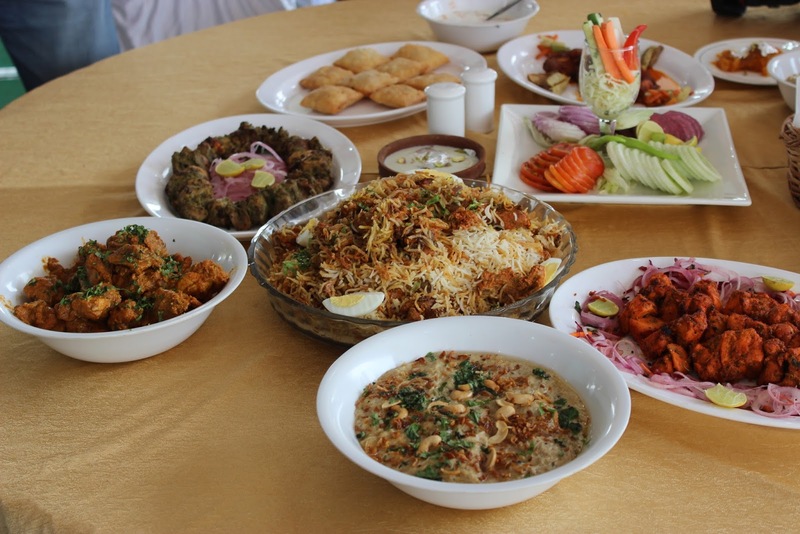 Hyderabadi cuisine is popular for its biryani and haleem all over India, but many rich items of the Nizami fare are not so well known outside the twin cities. 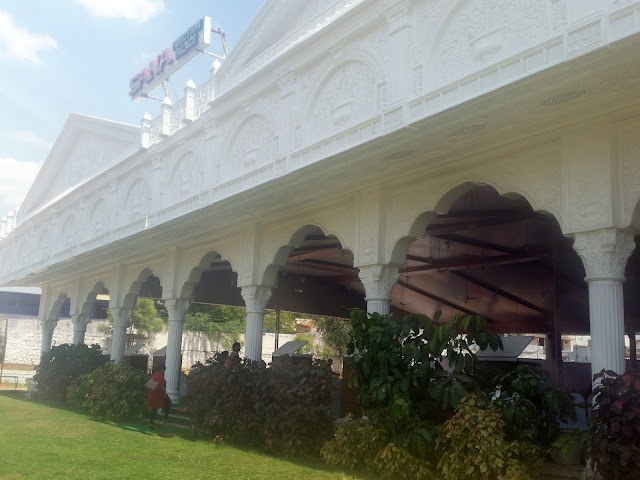 In fact even in Hyderabad, not many places except Firdaus in Taj or Jewel of Nizam in Golkonda Hotel and some others offer a complete set meal of Hyderabadi items. The brand Hyderabad House, the chain of takeaways which has been recently acquired by Food Krafters and Services LLP, have come out with a novel concept named “Dawat-E-Khaas” for the food lovers, where one can get a peek into a lavish Hyderabadi khana. “Dawat-E-Khaas”, an afternoon feast organized every Sunday, has been curated by Mr. Pradeep Khosla, who was earlier Executive Chef in the Taj group and had led the team at Firdaus, the Hyderabadi restaurant at Taj Krishna. The décor and seating for this feast has been set up in the same fashion as traditional Muslim weddings in a large function hall near Appa junction. The carefully chosen spread has items which showcases the gems of Hyderabadi cuisine. A few bloggers and members of media were invited to try out the exquisite food on a Sunday afternoon. The huge function hall very close to the Outer Ring Road was not very difficult to find. As we entered the place, we found that seating had been organized to serve groups of 8-10 people in each table. A large number of people were already enjoying the gourmet fare. 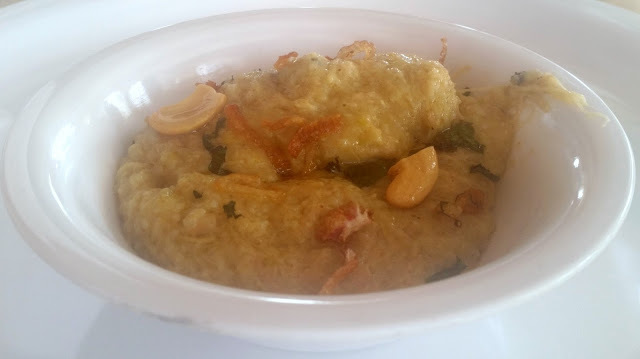 We started with haleem – one of the most popular of Hyderabadi dishes. The Haleem here was quite different from what we get during Ramzan in most of the cafes. It was more flavorful rather than spicy – and a person like me habituated to the usual fare was slightly taken aback by the subtlety of taste. Chef Khosla told us that the reason for this was that they have developed this based on the recipe of traditional Hyderabadi homes. 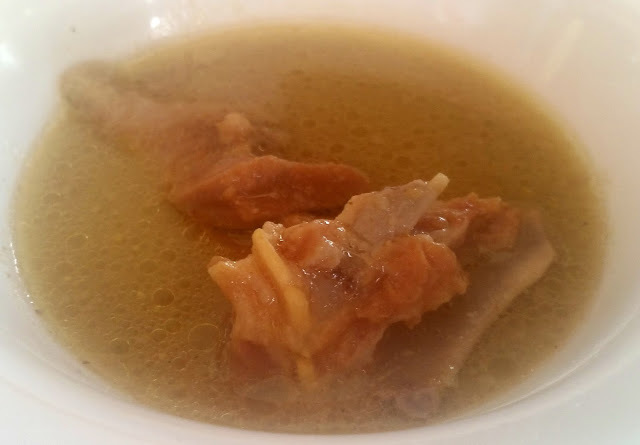 Haleem was followed by Marag, the delicious Deccani mutton broth which has its origin in the Arab world. 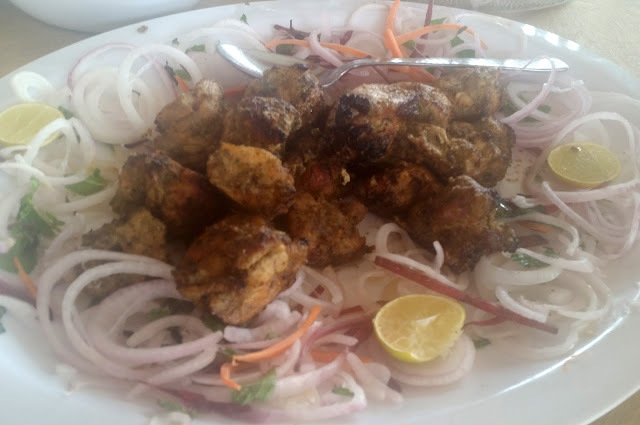 This was a very light preparation with tender mutton and flavourful spices which went well with dunking in pieces of the soft sheermals served on the table. The aroma of spices and quality of mutton made me go for a large portion of this. Lukmi is a traditional Hyderabadi starter which can be described to an outsider as a flat and square samosa with a spicy mutton mince or vegetable based filling. The lukmis I had here were low on stuffing – I have had a meatier version in some weddings which I liked more. The other starters served were Reshmi Kabab and Tala Hua Machhi. One must specially mention the green chutney served along with the kababs. As Rumali Rotis were being brought out, it was time for the main courses. The Dum Ka Murgh or a Hyderabadi recipe of slow cooked chicken, was rich and spicy. I am not a great fan of color used in the non-vegetarian dishes, but the taste of this was so nice that I ignored the same. Lagan Ka Murgh, chicken cooked in traditional Hyderabad way in a lagan (a heavy bottomed flat metal pot) was the other delicacy which was served. The Gosht Biryani which followed was the star of the afternoon. With best quality aromatic rice, the flavors of well-cooked mutton, spices and ghee, the brilliance of this dish was balance. It seemed to have the right amount of all ingredients. The accompanying raita and mirchi ka salan also tasted amazing. The desserts served on the day were Firni and Double Ka Meetha. 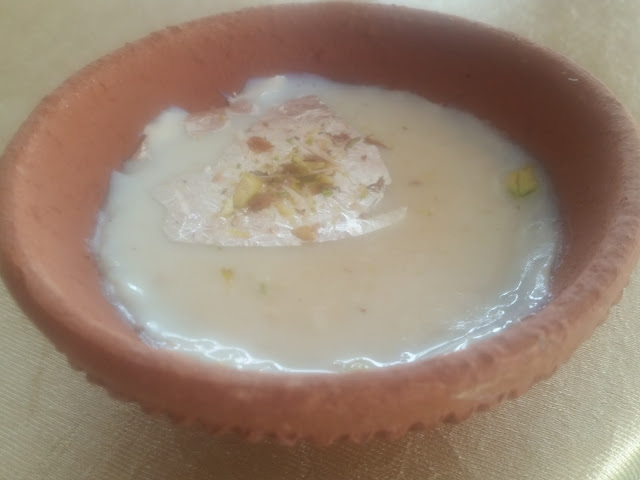 I am not a huge fan of sweets, but liked the traditional presentation of Firni in earthenware. The Dawat surprisingly did not make me feel very heavy. Chef Khosla had reiterated that the ingredients have been sourced from the best places, so that the diners have the finest experience. I am no judge of authenticity of Hyderabadi food, but taste wise one has to give very high marks to the dawat. A nice way to enjoy your Sunday with a long drive and feasting on Hyderabadi banquet food. The feast is priced at Rs 799 for adults and Rs 499 for children. Passes available at Bookmyshow. A few pics are courtesy Hyderabad House.